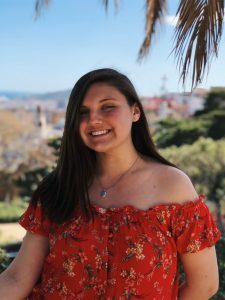 We caught up with former SAI Rome student McKenna, who is now an Ambassador. 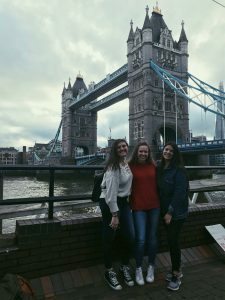 McKenna reflects on her semester abroad. I have many favorite things to do in Rome, but I will narrow it down into two categories: a favorite food and a favorite place. The best snack to get in Rome is Supplì, which is a fried ball of risotto with tomato sauce, stuffed with fresh mozzarella. It is a popular Roman street food and extremely delicious. My roommates and I would often go out of our way to go to the best shop for Supplì in Rome (the restaurant is named Supplì, after it’s signature and most popular dish). 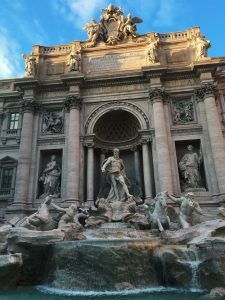 My favorite place to go in Rome is the Trevi Fountain. It is extremely touristy, but despite the massive amounts of people that are constantly there it is still so beautiful, especially at night. Some of my favorite memories are going to the Trevi Fountain in the middle of the night when all the tourists were gone, it was so peaceful. The fountain is truly magical. 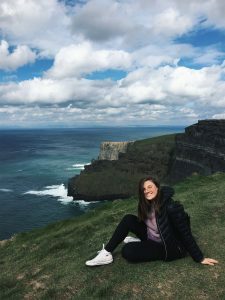 The biggest travel tip I would give to someone studying abroad would be to make sure you explore new places that are outside of your host country. I loved Italy so much, but some of my favorite places were other countries that I explored for a weekend during my semester in Rome. It is so interesting to see the cultural differences from one European country to another. The other big tip I would give for traveling would be to travel as light as possible. I am a classic overpacker, so generally traveling is a pain for me. However when traveling between countries in Europe I forced myself to only pack a backpack full of stuff for each weekend trip, and it was the best thing I could have done. First, I saved money by not checking a bag. Second, it was much easier than lugging a heavy suitcase around a new city. You will be able to take in the beauty of the city from the moment you arrive and enjoy every minute of your trip. Even before I studied there, when I would think of Italy, one of the first things that comes to mind is food. It is a huge part of the culture and something that Italian’s are extremely passionate about. However, something that surprised me was how different the experience of eating a meal in Italy is compared to in the United States. Meals in the US are often very rushed, especially in restaurants. 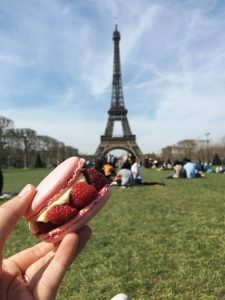 When eating out in America you can often be pushed out of a restaurant fairly quickly so that more customers can come in and spend more money. In Italy, absolutely nothing is rushed, including meals. Meals are intended to take a very long time so that you can fully enjoy your food and your company. There are multiple courses in an Italian meal and each course is quite separated from the one before it. Due to this, one meal alone could take multiple hours to be completed. This was a part of Italian culture that was initially hard to get used to, but I truly grew to appreciate it. A meal is meant to be an experience to be remembered. 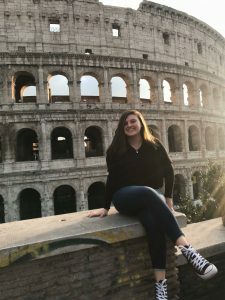 McKenna was an SAI Rome student from St. Norbert College.